Bolt Size : 145mm x 8mm Dia. The Yale 8K116 multi purpose bolt is suitable for securing single or double aluminium sliding doors by means of the steel locking bar. It can also be used for hinged doors and wooden doors (fixings included). The steel bolt has to be manually thrown and locked into position by use of the key and then a key differing mechanism releases the bar from the frame. 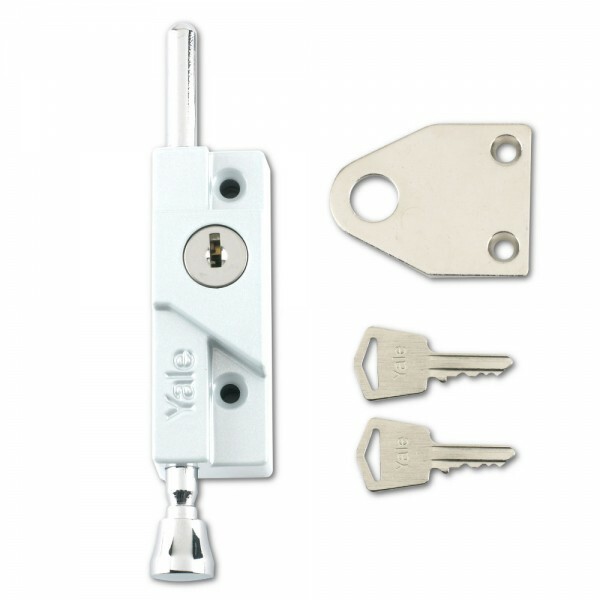 The Yale 8K116 multi purpose bolt provides standard security and comes with a 2 year guarantee.